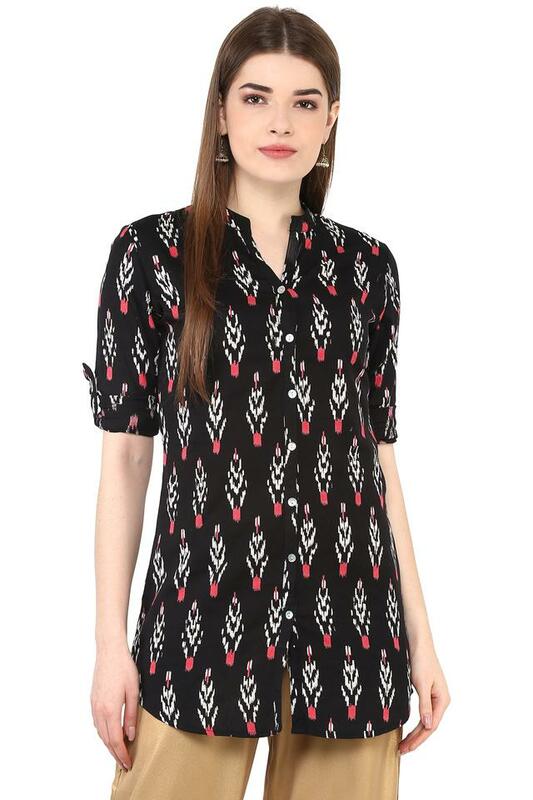 Set a new trend by wearing this tunic from the house of Soch. Featuring a mandarin collar, it also has roll up sleeves that render it fashionable. In addition, it is made of a fine quality fabric that ensures optimum comfort. 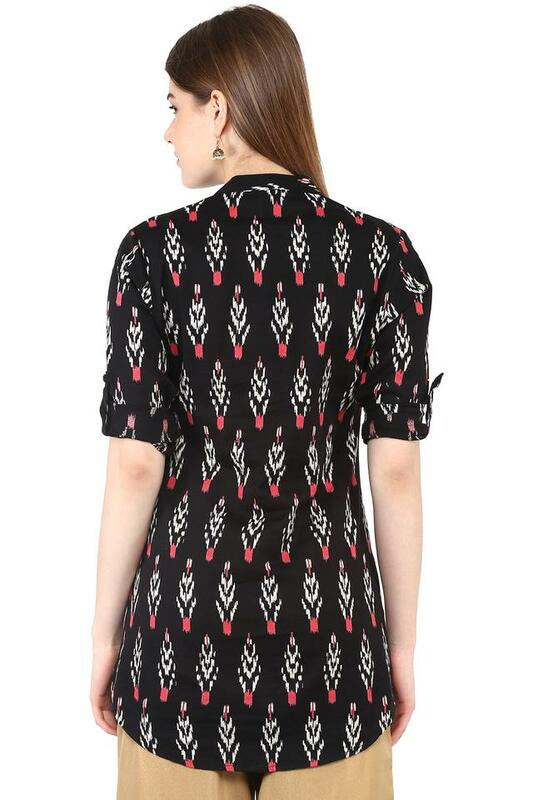 It also comes with a print pattern, which enhances its appeal. Fetch compliments for your choice by wearing this trendy tunic on any casual day out. Team it with a pair of jeans and slip on heels to look your best.